GPS - Fall Creek Falls, 55m el. 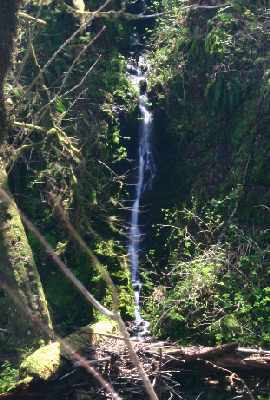 Fall Creek Falls is east of Waldport. In 1.2 miles this roadside waterfall (with fish ladder) will be visible on the left side. 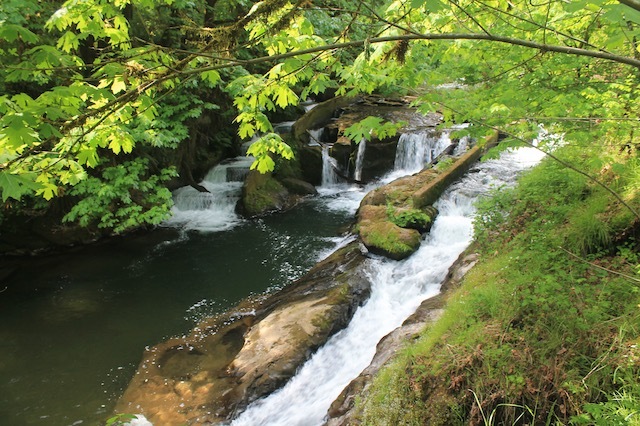 About 50 feet downstream is a smaller waterfall on an unnamed creek. Various parks and another fish ladder are accessible from HWY 34.